Imagineering Institute wins Paper Award at #IEEE #VR 2018. 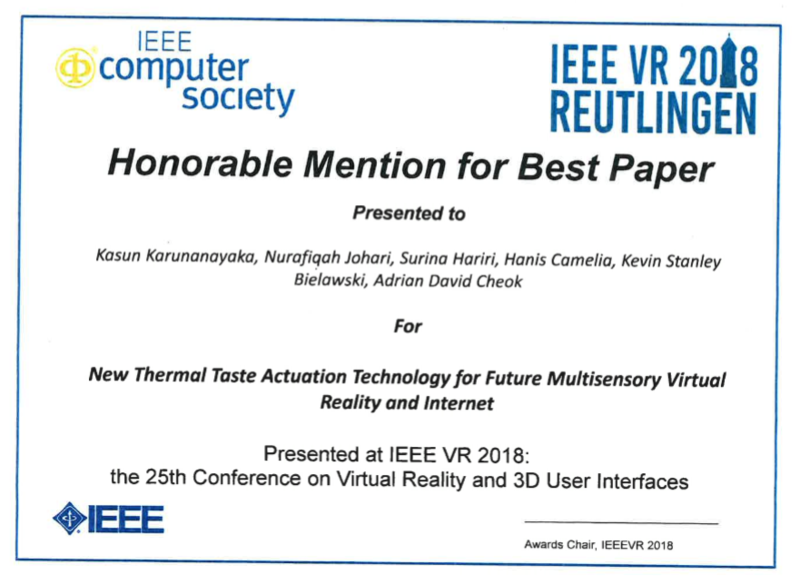 This prestigious award places our paper as the top 4 #virtualreality papers in the WORLD!! !